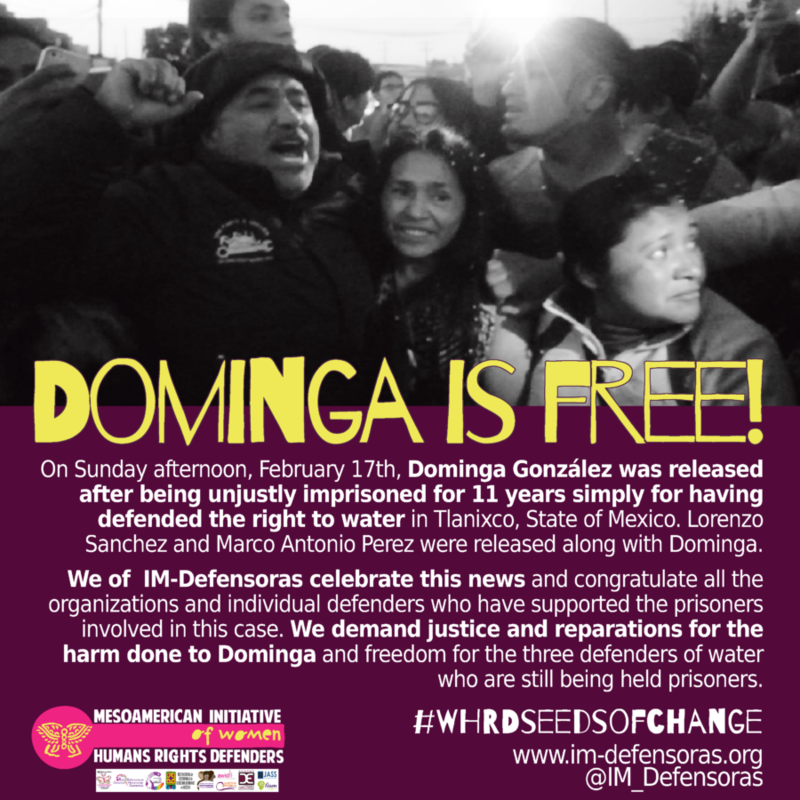 SORORITY / MEXICO: Dominga is free! 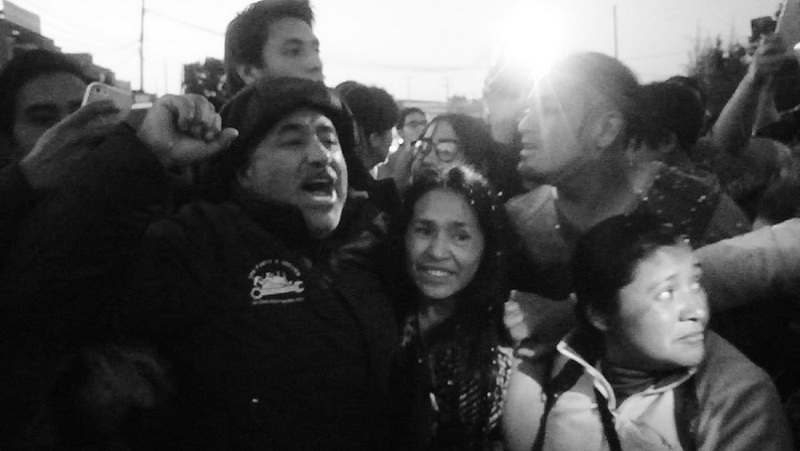 On Sunday afternoon, February 17th, Dominga González was released after being unjustly imprisoned for 11 years simply for having defended the right to water in Tlanixco, State of Mexico. Lorenzo Sanchez and Marco Antonio Perez were released along with Dominga. We of IM-Defensoras celebrate this news and congratulate all the organizations and individual defenders who have supported the prisoners involved in this case. We demand justice and reparations for the harm done to Dominga and freedom for the three defenders of water who are still being held prisoners.